A Classic 44 inch Pintail longboard with a new clean surf inspired graphic reworked for 2015. The mellow concave has a nice flex, making the Hunter perfect for cruising and fun for every rider. It comes with the Mindless Team wheels and 6″ Sixstar trucks fitted as standard. We feel that this board is in a class of its own, Mindless Longboards Hunter III is ideal for beginners or riders just looking for a pintail that’s great value for money. 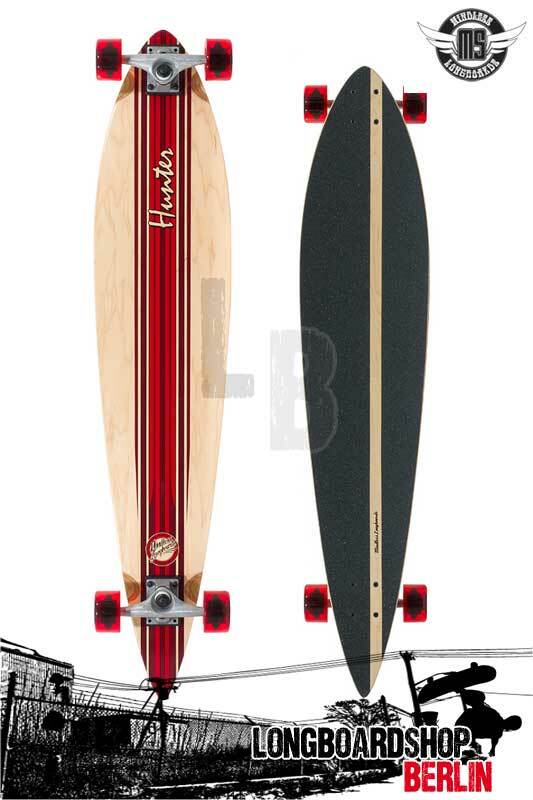 Mindless Hunter III Longboard Pintail Cruiser red - Jetzt bei uns im Shop!